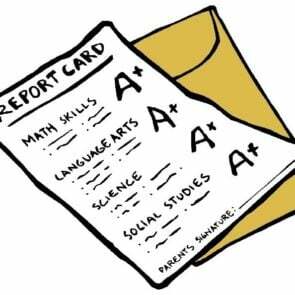 Most classes reflect student progress by using grades A through F, however, students have the opportunity to take classes on a Pass/No Pass. Citizenship grades reflect the degree to which the student demonstrates respect, responsibility, and safety. These grades are to inform students and parents about citizenship in class. Gradebook is our parent portal to the online Gradebook. You can see what classes your student is taking, what assignments, test, and quizzes have been given and turned in, and what grade your student earned. You can send an email to any of your student’s teachers or sign up for email alerts if your student’s grade for any class falls below a certain point. You can also see how many times your student has been absent from or tardy to school. Gradebook requires a parent login which is provided by the Cheldelin registrar. Please contact the school office if you need help logging in. Teachers make their best effort to update grades regularly, with the goal of updating grades at least once every two weeks. Grades and attendance information are available through the online grade book, Gradebook. Parents can customize the grade book to send email updates at regular intervals. Grades are finalized quarterly and start fresh each new quarter. Grade reports are mailed home about a week following the end of each quarter. Students are responsible for conducting themselves properly, in accordance with the policies of the district and the lawful direction of staff. It is our desire to teach and shape appropriate behaviors. 1st quarter there is no penalty for late work. However, work must be turned in during the relevant unit of study. 2nd thru 4th quarter, all late work turned in within the respective quarter will incur a penalty of 10% (a letter grade). Retakes are for summative assessments only. Original score must be less than 85%. Then 85% is highest a student can earn on a retake. Prior to making up an assessment, a teacher may require a student to turn in missing work and/or complete a review assignment. Timeline for retake is at teacher’s discretion but will be communicated clearly. 1st quarter late work will be accepted until 1 week before the end of the quarter and will be reduced one full letter grade. Test corrections are available by student request for summative assessments, if original score is less than 85%. The highest score that can be earned for a retake is 85%. The teacher may require the student to turn in missing work or complete a review assignment. Timeline for retake/test-corrections – within 3 weeks of original due date, or before the end of the quarter. Retake are only available for original scores less than 85% on a Summative Assessment. A score of 85% is the highest you can earn on a retake. To be eligible for a retake you must turn in all unit assignments and complete qualifying assignments, like test corrections, in preparation for the retake. Retakes must be completed within 3 weeks of original test date or before the end of the quarter. On the dates listed below all teachers will have their Gradebook updated by 5pm. Our hope is that this will allow parents and students to check Gradebook every other week for up to date assignment/assessment completion and grades. There are some assignments/assessments that may be listed as T for turned in but not yet be graded as the grading process will take longer to complete for those entries.